Thermaltake is proud to announce the latest line of cases – the View 27 Gull-Wing Window ATX Mid-Tower Chassis with patented appearance design and exclusively Tt LCS Certified. Specially crafted with a curved window, users can fully display their system whilst keeping the interior dust free. Additionally, the View 27 offers a superior hardware support with complete thermal solution. The tool-free drive bay design allows users to freely interchange the hard-drive cages to suit their particular needs. Moreover, with the dual VGA placement layout, users can choose to place the graphic card either vertically or horizontally. 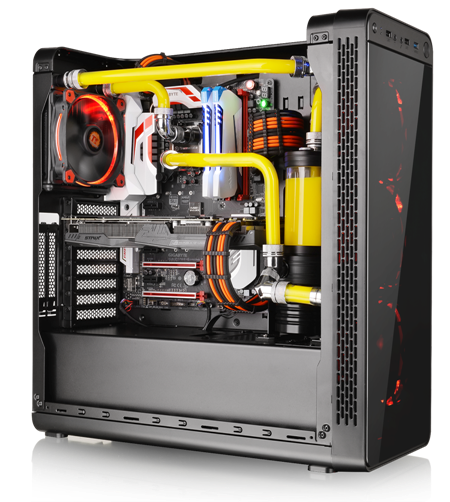 Most importantly, the View 27 is perfectly designed for liquid-cooling system. 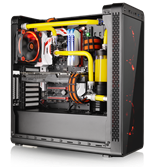 It is compatible with DIY liquid cooling radiator and AIO liquid cooler. 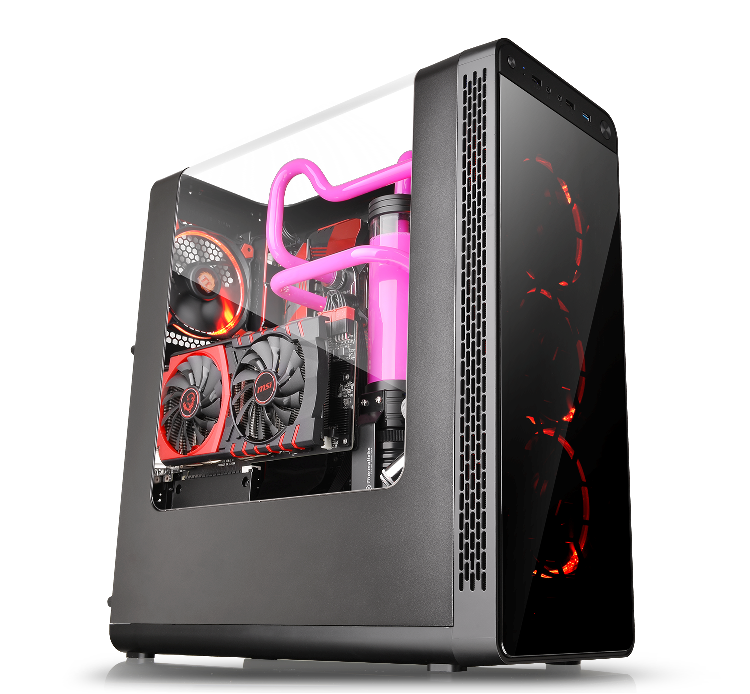 The new Thermaltake View 27 Gull-Wing Window ATX Mid-Tower Chassis is the best choice for both entry-level users and experienced PC enthusiasts! Supports a wide range of GPU solutions and perfectly matches with View 27.